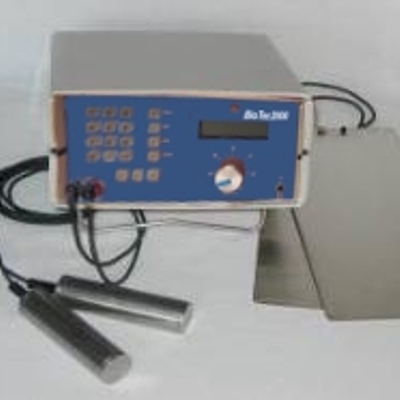 We will repair all functional problems of your BioTec 2000 Electrode, adjust, and calibrate it. If the LCD Display shows letters and numbers and does not blink, the power supply is probably OK. Pack a BioTec 2000 Electrode with electrode wires in a USPS Medium Flat Rate Box-1 OFRB1I (11" x 9" x 6"). If you are sending a black power supply with your unit, use a USPS Large Flat Rate Box LARGEFRBI (12" x 12" x 6"). Use a little padding such as small bubble wrap, foam, or crumpled paper towels on the bottom and sides. Fill the box above the unit with the same type of padding.